Home » About » How do you become a Dietitian? Although this wasn’t quite as marvellous as someone once thinking my sister was going to work on a farm after she told them she was doing Pharmacy at University, it did make me smile. Generally, there are two routes to becoming a Dietitian. Both are science based University courses. The first route is through undergraduate studies in Nutrition and Dietetics; a course which usually takes up to four years. The second route is by doing a postgraduate course in Nutrition and Dietetics, after the completion of a relevant undergraduate degree. The postgraduate course can be up to two years and students can complete with a postgraduate diploma or a masters in Nutrition and Dietetics. The basis for most Dietetics courses includes a pretty strong foundation in science. Courses differ around the nation but generally, students will study a range of biochemistry, physiology, genetics, immunology and microbiology. They then build on that science base as they move into more specific studies in nutrition, professional practice, clinical medicine, research, health promotion, food science, a research dissertation and dietary therapy. A prominent part of each dietetic course is clinical/professional placement in a variety of sectors – hospital, private practice, community and industry. These placements are where dietetic students learn invaluable clinical skills specific to a dietitian. These can be up to 28 to 30 weeks in total. Students gain skills in collecting vital patient information, counselling, negotiating and interviewing, taking dietary records and measurements, formulating holistic and tailored dietary plans whilst working to a sound evidence base. During training in Universities and in the field, dietetic students must pass specific competencies which allow them, on completion of their studies to be registered with their specific profesional body. This may be, for example, as an APD (accredited practicing dietitian) with the Dietitians Association of Australia or as a regsitered dietitian (RD) with the health care professions council (HCPC) , UK. This rigorous training, clinical placement and registration is what separates Dietetics from other Nutrition based courses and professions. Only those who have achieved and maintained their competency to practice Dietetics can be registered/accredited as Dietitians. In fact, the title of Dietitian in the UK is a legally protected title. 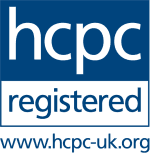 This means only those registered with the HCPC as a Dietitian can legally call themselves one. This includes those who have trained as Dietitians and for some reason or another, have not continued their registration. Registration/accreditation is a process whereby the public can have some assurance that practitioners maintain their competence to practice. This is done by audit and each Dietitian keeps a portfolio of their continuing professional development, to demonstrate they “still have it”. The Dietetic profession is a regulated profession and Dietitians practice to a code of conduct and professional ethics. So its a bit more complex than working your way up through the kitchen. Its important to note, however, that Dietitians should have a good working knowledge of food and cooking. After all , food is what its all about!